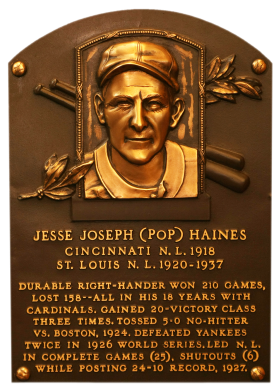 Knuckleballer Haines didn't make the big leagues for good until he was age 26. However, he stuck around until he was 45, winning 20 games three times and finishing with 210 victories for the Cardinals, including a no-hitter against the Braves in 1924. In 1927, he racked up a 24-10 record, leading the NL with 25 complete games and six shutouts. "Pop" had a career .571 winning percentage and 209 complete games. Comments: In April 2003 I purchased a raw 1936 WWG card of Haines. A few months later I swapped it out with a 1928 W513 PSA 5 that I found on eBay to give me a different type card. 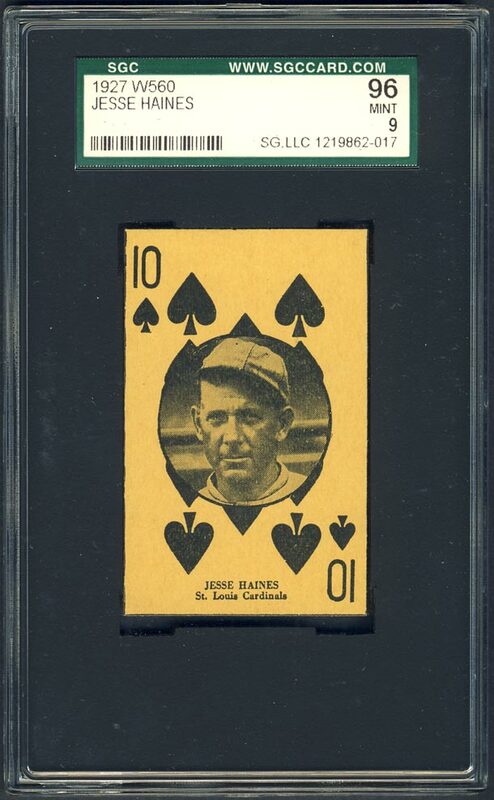 I was able to upgrade that item to a beautiful SGC 88 example with another eBay win in June, 2007. In early 2010, in another attempt to diversify the collection, I decided to sell a 1924 Diaz Pennock I owned because I had some other players represented in the Diaz set. The W513 set worked for Pennock and I switched to W560 for Haines. With this decision, I sold the SGC 88 W513. 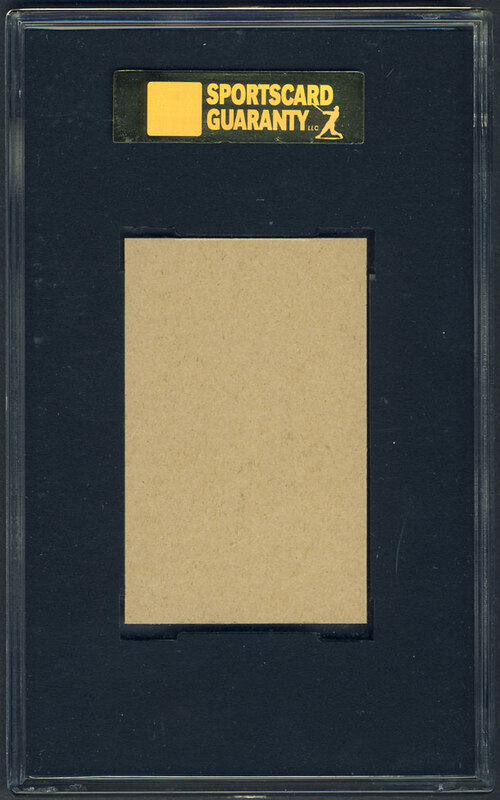 And, in June, 2010 I won an eBay auction for this card graded MINT by SGC courtesy of Brian Van Sant at Full Count Collectibles. 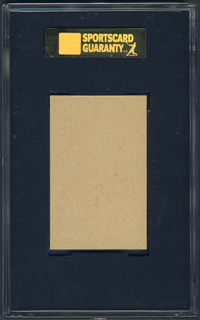 Description: Although assigned a "W" number by the American Card Catalog, this is not a "strip card" issue in the same sense as most other "W" sets, although W560 cards are often found in uncut sheets of 16 cards. 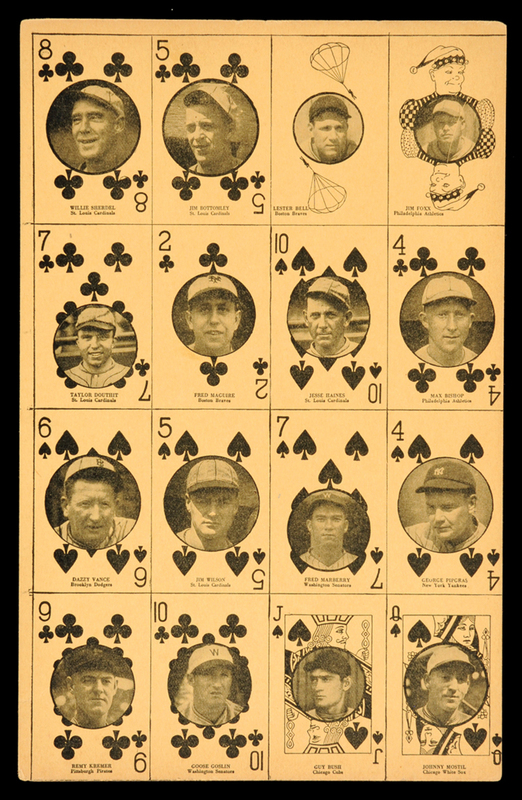 Cards measure a nominal 1-3/4" X 2-3/4" and are designed like a deck of playing cards, with the pictures on the various suits. The set includes aviators and other athletes in addition to baseball players. Cards can be found with designs printed in red or black, or less commonly with both red and black on each card. Some players will also be found with different suit/value combinations.